Four years ago, Carolyn Smith was at a meeting for Probus Club—a Rotary Club off-shoot for retirees—when she heard outreach worker Bev Henke speaking about the Upper Room Mission’s work, and how a Vernon volunteer could make a difference there. Six days later, Carolyn was in The Kitchen, chopping carrots and dicing fruit for pies. 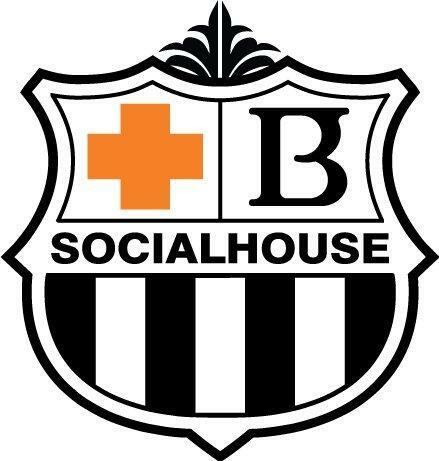 “I had been looking for somewhere to volunteer and I was so impressed by what I heard. I’ve had a good life and I wanted to give back,” says Carolyn, who raised four children in Nanaimo, BC, and helped out with teas and functions at her local church before moving to Vernon in 2006. 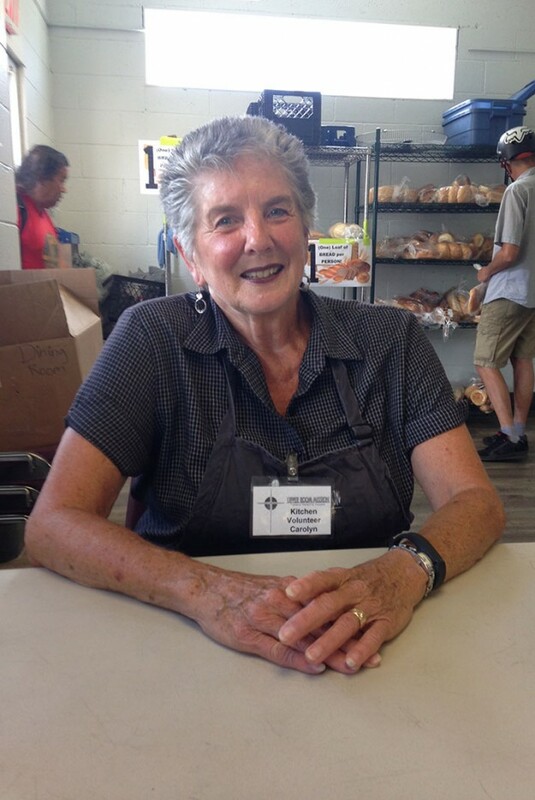 Carolyn knows her way around a kitchen, but that’s not the only reason why she wanted to volunteer making meals rather than sorting clothes in The Boutique. “I chose the kitchen because I wanted to be right where the guests are and help serve people,” says Carolyn, who has been doing just that every Monday for the last four years. 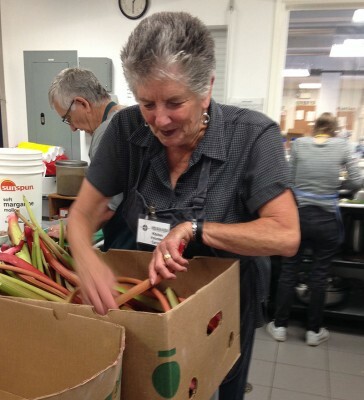 Vernon volunteer Carolyn Smith washes and slices rhubarb for a pie in the Upper Room Mission kitchen. She’s been preparing and serving meals for guests every Monday for four years. She helps with the 1-5 pm shift, cleaning up from lunch, prepping for dinner (often chopping vegetables, dicing fruits, washing pans), serving meals at 4 pm, and then tidying up afterwards. The kitchen volunteers were also touched when, during the December flood of 2014, the entire community rallied together to help feed Vernon’s hungry in the parking lot and next door at The People Place while the Mission was under repairs. 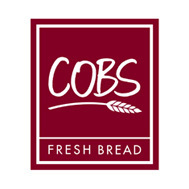 As another volunteer sweeps the floors after lunch and the pots in the kitchen begin to boil for dinner, a few guests duck in for loaves of bread and Carolyn reflects on the difference the Mission makes. And if someone asked Carolyn if they should consider volunteering in The Kitchen? Are you looking for a meaningful Vernon volunteer opportunity? Our kitchen team, Boutique clerks and maintenance crew help keep this place ticking so we can feed Vernon in all the ways our guests are hungry. Contact us about how you can make a difference with us!